There is a hope amongst the Glorious Trainwrecks community that the BabyCastles event may introduce some of us and our games to new folks. This event is an opportunity for new folks to introduce yourselves to us! We'd like to get to know you. Make a game or sing a song so that we have some effort to know you by. Even if it is awkward, it's likely to impress. Those of us who have been here for a bit should feel free to craft a little somethin to welcome the new folks. Or if anyone is inspired by something they saw at the Babycastles event or even if they are inspired by something they didn't see at the Babycastles event, they are probably still inspired and can paint that over a gameObject and post it here. I think I'm going to make a "Hi, I'm clyde" simulator of some sort but I'm not sure how abstracted it'll be from that concept. I started mine. I'm hoping it won't take long but I'm going swimming before work today, we have 4 episodes of _Healer_ left and I have a Far Cry 5 co-op playdate and a birthday to attend this week. Plus I'm dressing up as a chocolate-bar on Saturday (I like to brag about that one) so No Promises! I think it'll just be wandering to the city and back and I'm going to bread-crumb the trail with sketchbook pages, photos from my phone and brief moments of insight. I'm excited about it. Mine is coming along. I'd like to finish mine by next week. It's going to be late, bit I did make a video where I talk about working on it. I'm switching tactics midstream and I'm gonna submit the game I'm finishing for the Museum Jam to this jam because I think it is surprisingly relevant (from the perspective of someone who started it before either of these jams existed). 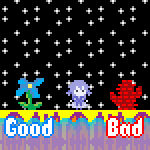 But now I have a half-finished game that I started for this jam that I will assumably use for some jam in the future though I might also post it here for credit where credit is due. Aw, I really enjoyed your old intro. Hello!